My son-in-law Will and I just brought a new M.I.A tent with a tent stove and wanted to try it out with a winter hunt as soon as we got it. I have always wanted a tent I could light a fire in. I pitched it on the front lawn first; seam sealed it and left it in the weather for a week to check for any problems, all looked good so the following weekend it was time to hit the hills. 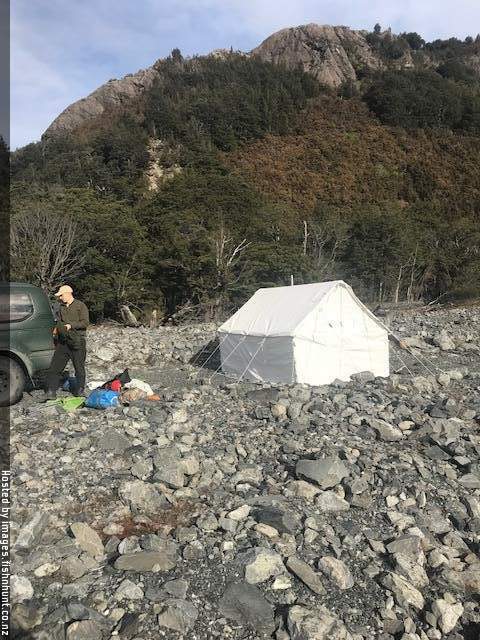 We decided to chase stags rather than Tahr so headed up one of the big rivers not too far from home; we arrived at an interesting looking creek right at the start of public hunting so pitched the tent on the fan of gravel that the creek had spewed out. 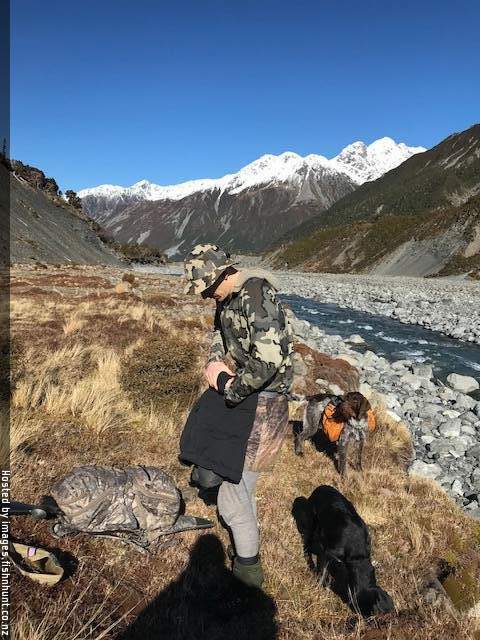 We pitched the tent and tied it down with rocks before heading off for a pretty uneventful evening hunt, it was good for the dogs to get used to the rock hopping before we headed further up the main the river the next day. That night we lit the fire and sat back marvelling at this thing of beauty, it certainly warmed the tent up fast and as it turned out gave us a false sense of security. We had a couple of stretchers with us so did not bother putting the thermarests on top before hitting the sack, boy was that a mistake. These tents have no groundsheets and as we were sleeping on nothing but rocks under the stretchers, we woke up bloody freezing, after adding the mattresses we had a good sleep they certainly make a difference. Next morning we decided to head off further up river to the last hut you could drive to, it was already occupied by what appeared to be 7 other hunters. While we were cooking a feed one of them came back worried were going to flog his thermal scope that he’d left in the hut , must have had eyes on the hut from somewhere. Worked out well, as he could then tell us where everyone else was. Anyway, we decided we would get away from the crowd and head a few more hours up the main river to fly camp, we would keep going until both sides of the main river were public land then start glassing. We were traveling light with just a fly, sleeping bag etc in our 34 litre packs. After a couple of hours of river walking, we came to the spot we were aiming for and started seriously glassing, we had already spotted a couple of hinds on the way but were chasing stags this trip. Will spotted a reasonable stag a km or so away but with no spotting scope (I left it in the car as we were traveling light) we were unsure of how big it was, so in the end we decided to head up after it and get a closer look before dark. It was about 500m in altitude above us, with a dirty , bushy steep climb for the first 200m. We managed pretty good time but the bigger dog with the panniers really found the going tough in the tight scub, with his body fitting between trees and then getting hung up on the panniers…but at least he was carrying his own and the pups food. Once we narrowed the distance to the stag down to around 500m we also spotted an nice Chamois buck in a valley head , it was decision time , the stag was a well-developed 8 pointer which Will decided was better to leave as he was now pretty excited by the big buck. Time was running out, darkness was about 30 mins away. 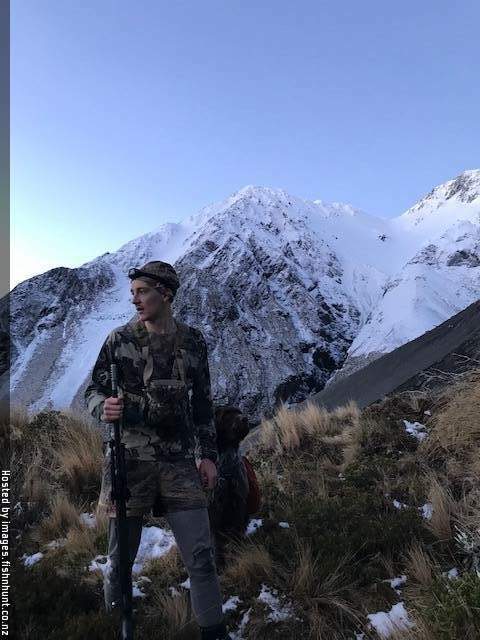 So we closed to within 500m of the buck as well, then the terrain got challenging, the stag was now about 350m away in the opposite direction and we only had 10 minutes of light left. 3 hinds were also seen about 80m away happily grazing (would have been easy meat and not to bad a carry either) but we still had antlers or horn to chase. We decided to take the stag as time had now run out, we hadn’t made camp and were at 1200m in the middle of winter. Will set up, I had the range at 352 and was blocking the dogs ears from the 7mm rem noise. Boom a clean miss and the Stag ran off up and over the next ridge into the darkness, we had a bit of a laugh to ourselves as we had turned down easy meet , and didn’t really have our heart in shooting the stag either, so consoled ourselves in the knowledge he will only get bigger. 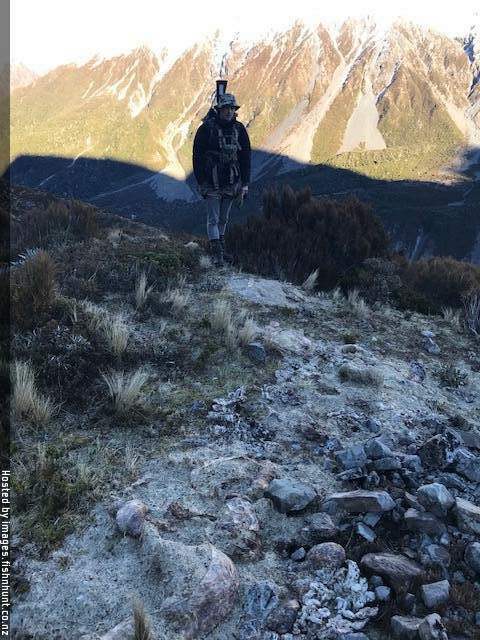 We hastily tied the fly to some tussock and slid into our 24inch high home for the night, in the morning after thawing out our rock solid boots and a quick brew we were off back to the wagon. There was sign of WARO with an old pile of gut bags seen that had kept the Kea happy for a while. The same 2 hinds were seen on the way back down the Valley, in all we saw 8 deer and 1 chamois in a day and ½ of hunting, the numbers are still there at the moment anyway. the tent and fire looks like a neat idea. 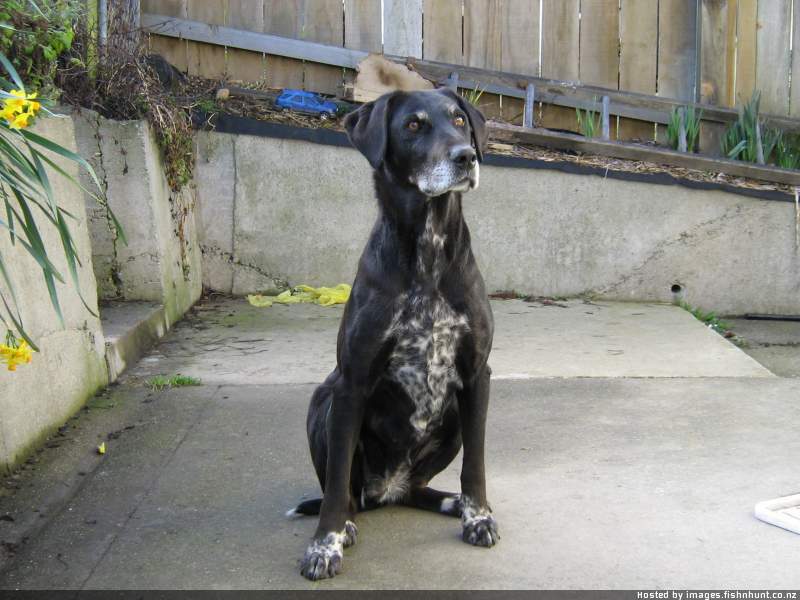 great photos and writeup,thanks for sharing. Nice report. Good number of animals seen too. Nice story. Have been looking at those tents online, seem sort of like having a hut you can take with you.